Maarten Stekelenburg moved in July 2011 abroad. The product from the Ajax youth academy signed a 4-year contract at the Italian club. His transferfee was around the 6M€ for the Holland international goalkeeper who was still under contract at Ajax until June 2012. In June 2013, Fulham Football Club was delighted to announce the signing of Holland international goalkeeper, Maarten Stekelenburg, from AS Roma on a four-year deal for an undisclosed fee until the summer of 2017. Rumours are that Stekelenburg costs around the 4M€. In the 2014-15 season, the goalkeeper is playing on loan at French club AS Monaco, followed by a loan period at Southampton in the 2015-16 season. 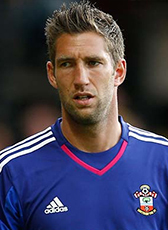 Maarten Stekelenburg followed his Dutch Southampton coach Ronald Koeman moving to Everton in summer 2016. He signed a 3-year contract until 2019.